What is an Office Potluck? For any small business, team work can make all the difference between success and failure. That’s because collaborative teams excel at dividing responsibilities and working towards the same goal. Realizing this, most businesses are focusing on team building exercises that can bring teams closer. A simple yet effective team building activity is a potluck. It can be organized by anyone without costing a penny to the company. But what exactly is it and how does it help in building teams? 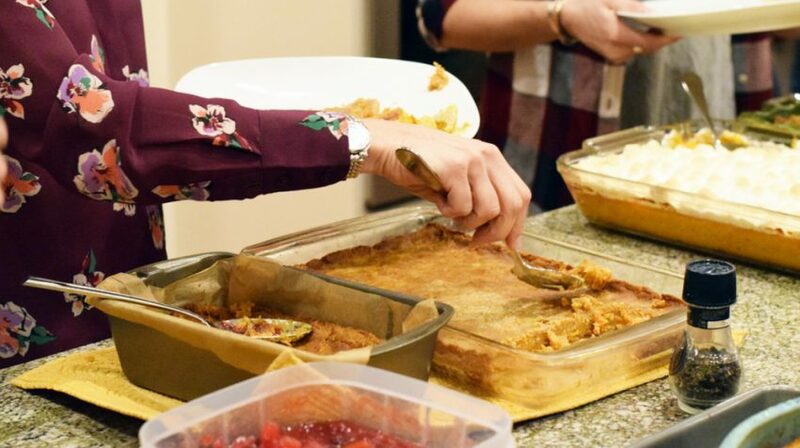 In simple terms, a potluck is an occasion when attendees bring food to be shared with everyone. Whether it has a theme or not, is completely up to the team members. The main idea is to add some fun to the workplace and encourage employees to connect with one another over food. The best thing about a potluck is that you don’t need a big reason to organize it. It could be an occasion to celebrate a holiday or just the first day at work after a long holiday. You simply need an organizer to send out the emails and coordinate with everyone involved. Sometimes the organizer may allocate responsibilities to the team members. For example, you may ask two employees to take care of the dessert and two others to bring some appetizers. Or you may choose to let the employees decide among themselves. Do you sense a growing lack of communication between two team members? A potluck lunch can be of great help. Get those two employees to plan the potluck. Ask them to coordinate the menu and come up with two dishes that everyone can enjoy. The objective here is to get them to communicate with each other and find a simple solution. You may or may not oversee how they do this, but the end result can help them connect with each other. At a later point, you may even speak to the two employees separately to get an idea how they felt about the whole exercise. A potluck is also a great occasion to bring a close-knit team closer. As many small businesses have fewer employees working for them, a potluck lunch can give them a reason to discuss things beyond work. Often such discussions may reveal hidden talents and opportunities for business growth. Whatever you do, remember to have fun and enjoy some good food.